Customer: Do any of your books have Robert Pattinson in them? Customer: Do you have this children's book I've heard about? It's supposed to be very good. It's called Lionel Richie and the Wardrobe. Customer: Is this book edible? 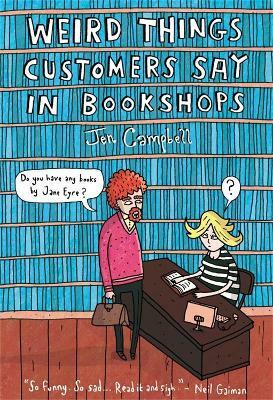 Grumpy Bookseller: I'm sure this is a hilariously entertaining book for anyone who hasn't worked in a bookshop. For the rest of us, it's like reading a chronicle of our days.